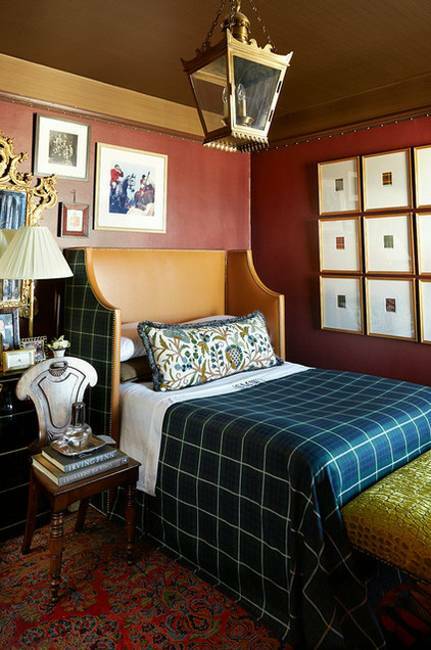 Classic interior decorating with check patterns look interesting and colorful. 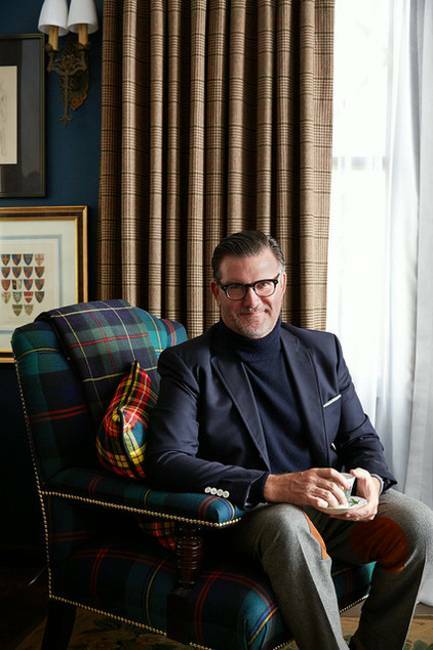 Decor4all presents the interior decorating project that transformed an American home bringing the Edwardian style and created classic home interiors with a touch of Scottish and English country style. Interior decorating is inspired by classic style of a home built in 1929 and showing the influence of Tudor and Mediterranean styles. 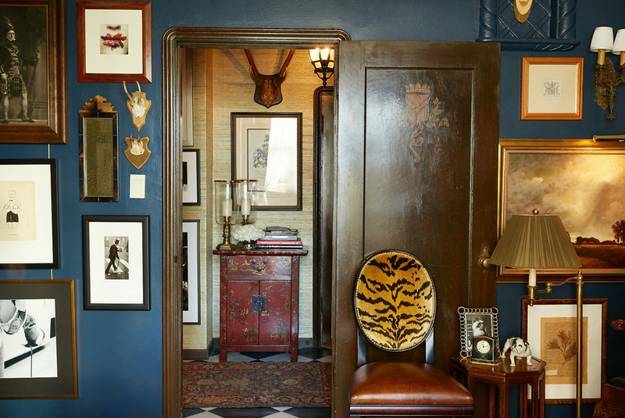 Wooden beams and doors, decorated with carved ornaments, add lots of charm to classic home interiors adorned with wool fabrics, dark color palette and portraits, creating the atmosphere of an English mansion. Vintage decor items are from a garage sale at Ralph Lauren. The vintage decor makes small rooms feel unique and very special, blending romantic mood with modern vibe. Wooden pendant lights look perfect with check patterns and soft home furnishings, creating warm and welcoming interior decorating. 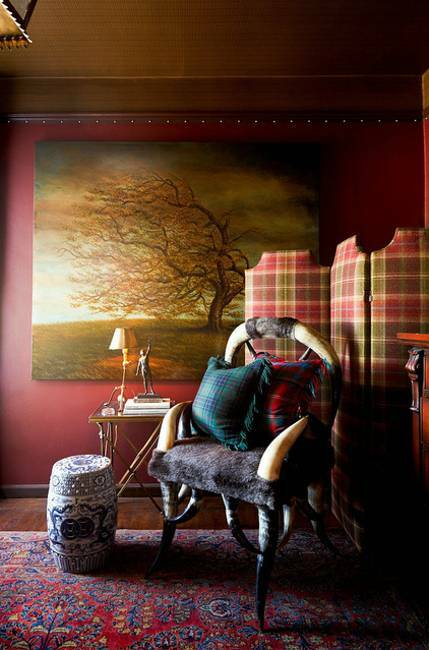 The gallery of portraits personalizes interior decorating ideas, giving room decor meaning and value. Vintage decor makes living spaces feel cozy and inviting. 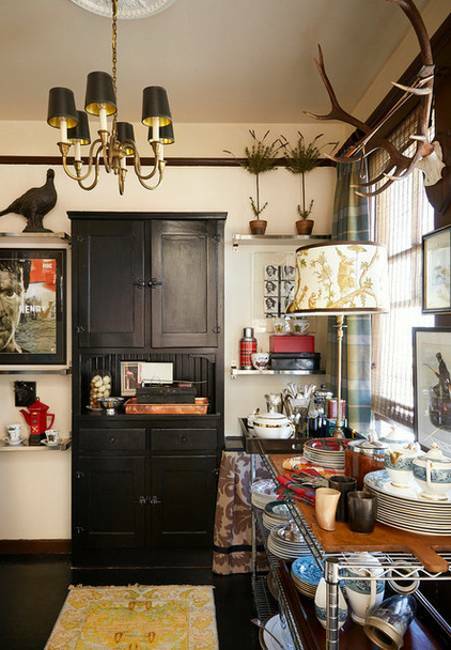 Vintage furniture and decor accessories create a rich and expensive look. Stylish countertops and additional storage systems turn the old kitchen into modern and functional space. Light and pleasant room colors are complimented by rich tones and deep color shades, giving depth to modern interior decorating in classic style. 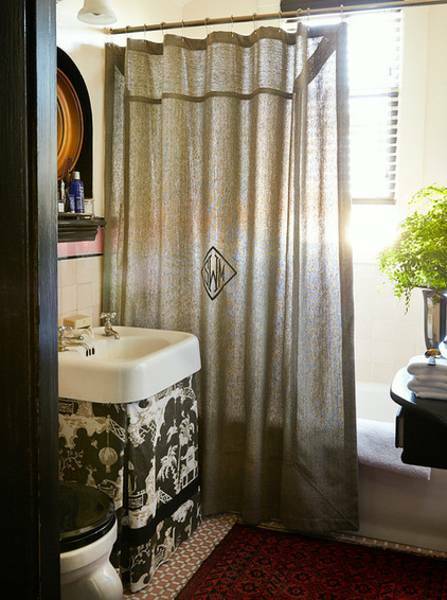 Check patterns are everywhere, on walls and furniture, decorating fabrics and small details. 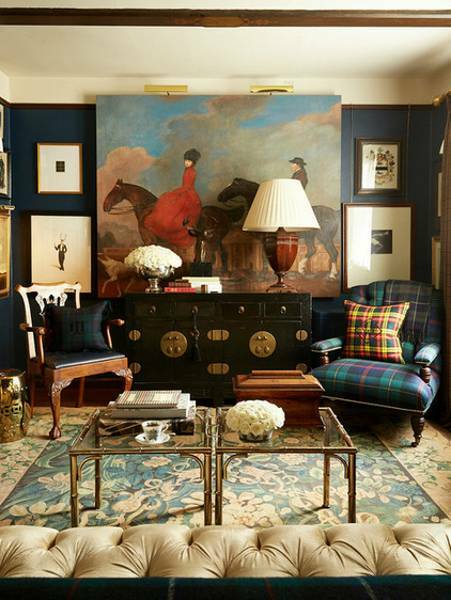 Checks add rhythm and energy to relaxing interior decorating and create interesting accents. Custom made is cozy also. Beautiful natural brown colors of wood and white and blue bedding fabrics create peaceful and calming environment and make interior decorating feel familiar and inviting. 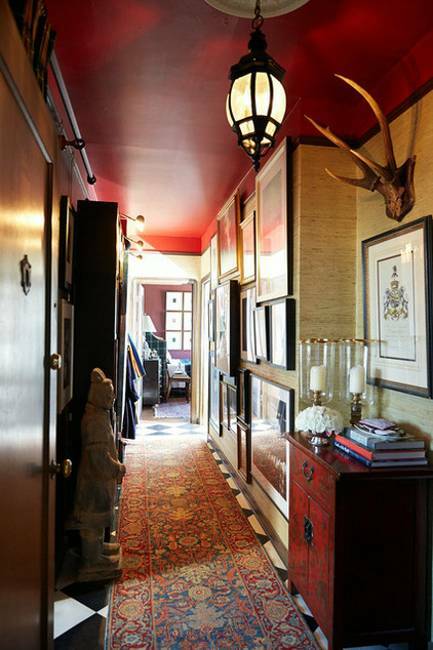 Modern interior decorating ideas in classic style feature eclectic accents and blend vintage decor with modern details. 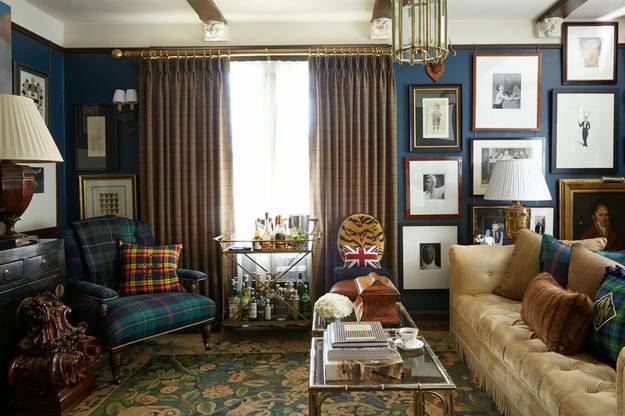 Comfortable and modern decor and rich room colors offer a stylish home that reflect British traditions and tells an amazing story, inviting to enjoy the elegance and comfort of classic interior decorating.